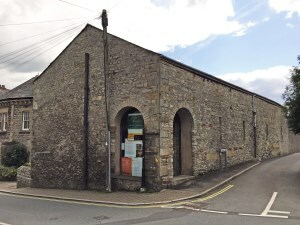 Steven Abbott Associates LLP has recently secured planning permission, on appeal, on behalf of the Kirkby Lonsdale Brewery Company Ltd. for the change of use of a former auction room located within the Conservation Area of Kirkby Lonsdale, Cumbria to a Micro-Brewery, Visitor Centre, Bar & Café. Kirkby Lonsdale Brewery Company Ltd., which was formed in 2009, saw an opportunity to expand their business, which currently operates from an out of town site, to allow visitors to the town to view the brewing process and sample the results, bringing back into use a significant building at the heart of the town. Cumbria has seen a boom in the craft/micro-brewery industry in recent times, and this approval shows that small scale brewing is an entirely appropriate activity within the heart of an historic settlement, and the addition of a Visitor Centre enables the wider public to gain knowledge of how the brewing process works. Kirkby Lonsdale Brewery Company anticipate being able to get moving on this exciting project in the near future.